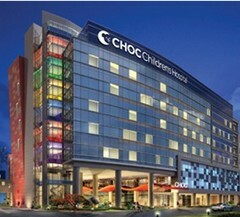 Welcome to CHOC Children's Outpatient Pharmacy! Welcome to CHOC Children's Outpatient Pharmacy. We are a group of dedicated professionals that work together to provide the best in pharmaceutical care for the patients and their families at our institution. Our primary focus is optimal patient care. We work with the premise of making a positive difference in the life of a child. We welcome the opportunity to serve you and feel free to contact us if we can be of service. Our pharmacy meets a wide variety of prescription needs, including those of patients and the community. When using your online prescription profile, you will be able to: Request a refill of an existing prescription, learn how to safely and effectively use your prescriptions, and update your personal information.